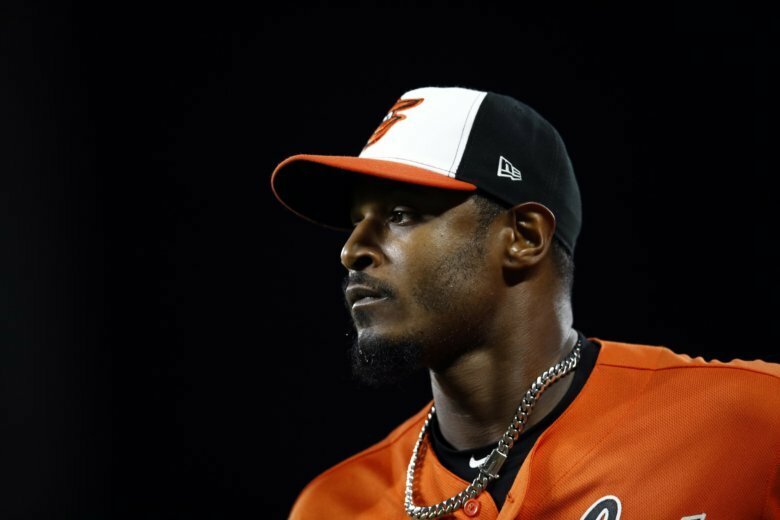 Outfielder Adam Jones and the Arizona Diamondbacks have agreed to a $3 million, one-year contract, a person familiar with the negotiations told The Associated Press. The person spoke on condition of anonymity Sunday because the agreement was subject to a successful physical. Jones is likely to start in center field between Steven Souza Jr. in right and David Peralta in left, pushing Ketel Marte into a utility infield and outfield role. Jones can earn $2 million in performance bonuses for plate appearances: $250,000 for 250 and each additional 50 through 600. He would get a $250,000 assignment bonus the first time he is traded. A 33-year-old five-time All-Star and four-time Gold Glove winner, Jones spent his first 13 big league seasons with the Baltimore Orioles. Jones was an All-Star annually from 2012-15 and hit .265 with 29 homers and 83 RBIs in 2016. He batted .285 the following year but slipped to 26 homers and 73 RBIs, then dropped to .281 with 15 homers and 63 RBIs last year for an Orioles team that shed most veterans went a big league-worst 47-115. His streak of seven straight years of 20 or more homers ended last year. He used his contractual right to block a proposed trade to Philadelphia at the July 31 trade deadline, saying he did not want to be a corner outfielder for the Phillies. “It wasn’t the best move for Adam going into free agency, to platoon in a position I was not playing,” he said in September. Arizona’s offseason additions include reliever Greg Holland and infielder Wilmer Flores, while the Diamondbacks traded first baseman Paul Goldschmidt and saw center fielder A.J. Pollock and left-hander Patrick Corbin lead as free agents.